Knitting for Babies Is Such Fun! I love to knit for babies! You can knit so many different cute things and they don’t complain about the colors, style, and/or pattern! I try to knit a few baby things to keep on hand for when I am asked to attend baby showers, as baby gifts, etc. Yesterday, I attended a baby shower for my friend, Shea, and while I did not get a chance to take a picture, her gift was the ever-popular Baby Surprise Jacket. After the gift-opening time, several of the ladies rushed forward to get a glimpse of the jacket and asked me about the pattern. As of today, there are 15,311 Baby Surprise projects on Ravelry. Wouldn’t surprise me if there were a few more after this shower. It’s really a fun and easy knit! 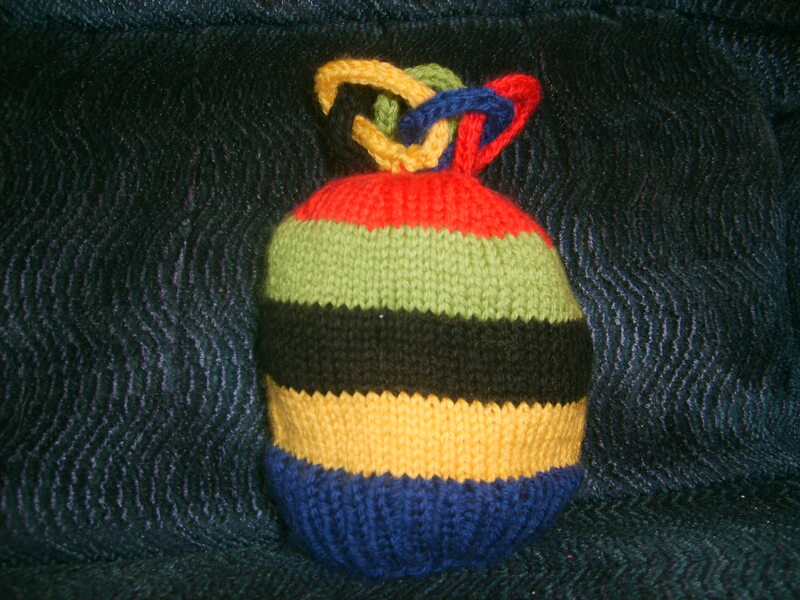 I also enjoy knitting Kids’ Fruit Caps by Ann Norling. I have knitted quite a few of these and they are great gifts! 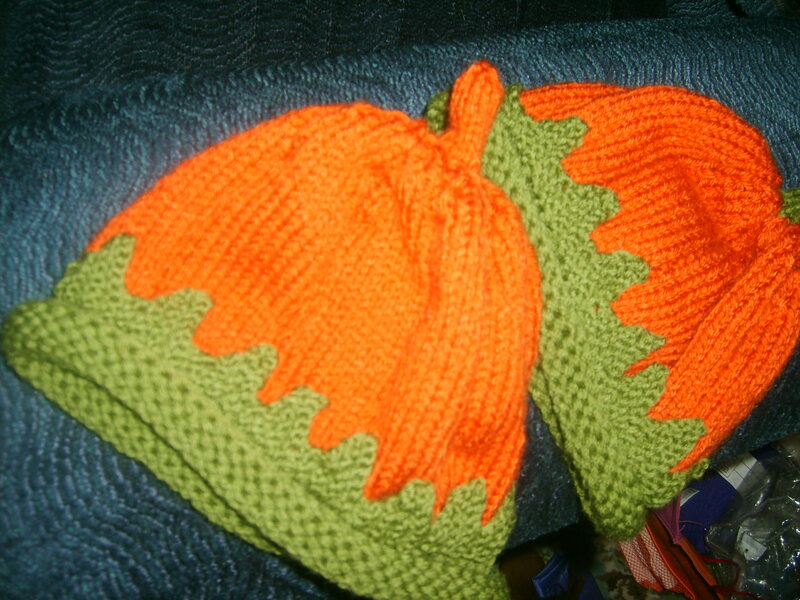 One year, for the fall, I knitted Pumpkin Hats for all of the babies in my Sunday School Class! 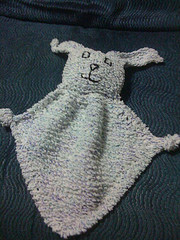 I have even knitted a few baby blankets, but most of them were ‘way before Ravelry and so I don’t have pictures. 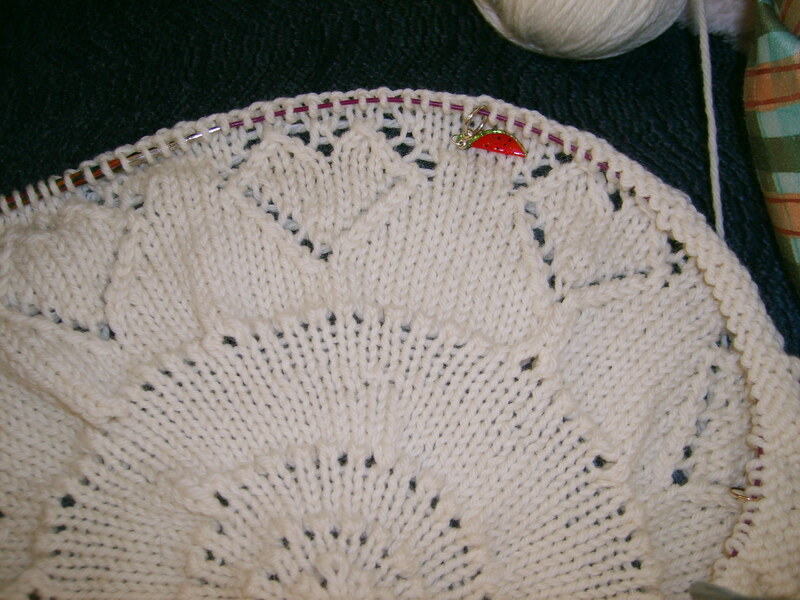 But, I did start a new circular baby blanket yesterday after the shower. It’s more of a Christening Blanket/Shawl. I can’t wait to see how it turns out. Since it’s 100% Merino Wool, it should block beautifully! I probably will start some more fruit caps, as well. I have plenty of yarn in my stash! As I type, the 2010 Olympics are in progress and on Ravelry (www.ravelry.com), there are a number of us who are Ravathletes…i.e. that is we have challenged ourselves to knit, crochet, frog or whatever an entire project (or a series of projects) during the Olympics. Some of my knitting buddies have thought me foolish to do this, but I enjoy the challenge! Besides, it was something to do while watching my favorite Olympics – the Winter Games! So, one of the events that I promised that I would do is the Designer Pattern Skeleton. To complete this event, you must create a publishable pattern…do whatever you feel is necessary to produce a publishable pattern. Last Olympics (the Summer 2006,) I had started an Olympic Rings Baby Hat, but I wanted to “tweak” the pattern before I published it. Well, I am now ready to unveil my pattern…right here on my blog. Using circular needles and starting with the Blue color, cast on 64 (72) stitches. Place a marker to indicate beginning of row and join for working in the round. Work in K1, P1 ribbing for 1.5“ (1.5“). Change to Blue and add the Gold yarn. Knit 6 (8) rows. Change to Gold and add the Black yarn. Knit 6 (8) rows. Change to Black and add the Green yarn. Knit 6 (8) rows. Change to Red. Knit 2 (2) rows. Row 1: K2Tog, K6. Continue around row. Row 3: K2Tog, K5 and continue. Leaving a 20” tail, clip yarn and draw through remaining 8 (9) stitches. Anchor securely but leave yarn outside of the hat to anchor the Olympic Rings. Weave in all other strands of yarn. Using 2 double-point needles and Blue Yarn cast on 3 stitches. *Knit one row, slide the stitches to the end of the DP needle and knit one row. *Continue the above I-Cord method until I-Cord is 5 inches. Gently close the loop to make a circle. Make 4 more rings in the other 4 colors but before closing the circles of the remaining rings, gently interlock them. Olympic Rings start with blue, interlocked with gold, which is interlocked with black, which is interlocked with green, and finally interlock the red with the green and the blue. Using the red tail, lightly tack down the rings so they stand up on the hat. Place on the head of your favorite baby as you play the Olympic Anthem. This original design was only test knitted by one other person so I would appreciate it if you would let me know of any typos/mistakes, etc.